Hi Ladies! It’s Wei Wei back with a new 12×12 scrapbook layout. Besides cardmaking, I love making layouts so I decided to bring Chibitronics LED stickers to my layout. One of my favorite is this kind of circle layout as it’s easy to make. This time I want to make it a little different, so I added LED stickers. First of all I created the parallel circuit template on scrapbooking paper. I applied the copper tape over the template, and then sticked three white LED stickers. Then, I arranged some colorful sequins on the copper tape. I created a removable battery cover in this layout. I choose the “wreath” as my battery cover door and then adhered velcro tape to the back of “wreath” and scrapbooking paper. In this way, you can detach and attach the battery cover door easily! That was it for today. I hope you like my page. Shine Like A DiamondHow to make light up elephant shaker card. This layout was love at first light! 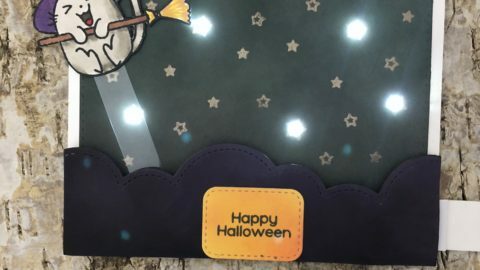 Wonderful use of lights on a scrapbook page. 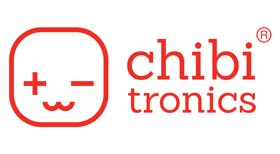 I didn’t even know about Chibitronics, I just stumbled on this layout while doing a Google search for “scrapbook layout” to get some inspiration. Well, guess I am REALLY inspired now! It’s a lovely layout, even without the lights, but with the electronics it definitely stands out above the norm.